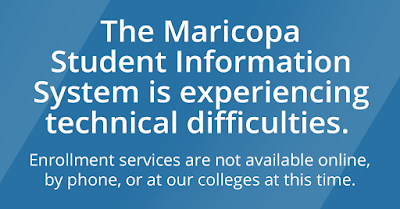 The Maricopa Community Colleges Student Information System is experiencing technical difficulties and has temporarily been taken offline. 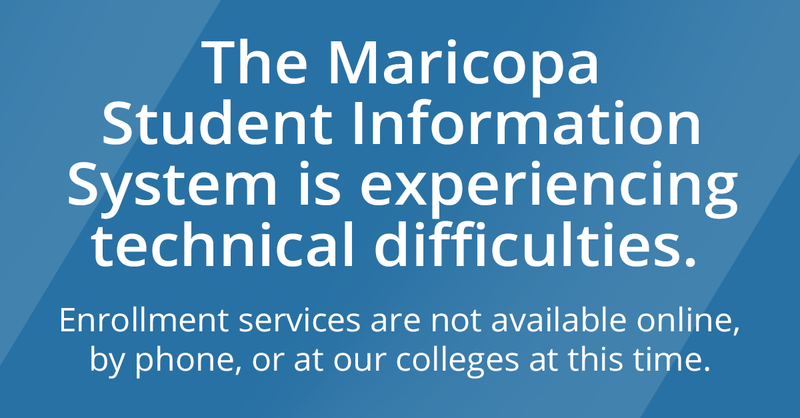 Enrollment services are not available in person at our colleges, online, or by phone. During this delay, be assured that we will protect your personal information, financial aid awards, your current class enrollments, and your ability to start your classes on time. We are working around the clock to resolve the issue and thank you for your continued patience.